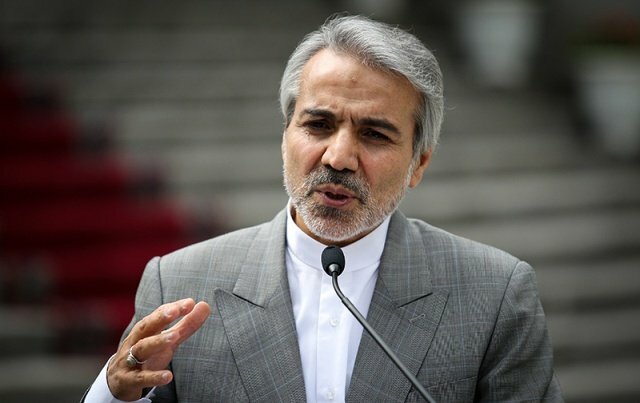 Iranian Government Spokesman Mohammad-Baqer Nobakht has rejected France’s meddlesome comments about Iran’s missile capabilities, saying the Islamic Republic’s defence program is its absolute right and non-negotiable. Referring to the recent comments made by French Foreign Minister Jean-Yves Le Drian about Iran’s missile program, Nobakht said there will be no negotiations with anyone over the country’s defence capabilities. “Certain comments might have been made by a person at a meeting, but this is not a reason to say there has been negotiation in this regard,” he added in a Farsi interview with the YJC. Le Drian accused Iran on Monday of not respecting part of a UN Security Council resolution that calls on Tehran to refrain from working on ballistic missiles. “We will have the opportunity of underlining our firmness on Iran’s compliance with United Nations Resolution 2231, which limits access to ballistic capacity and which Iran does not respect,” Le Drian said upon his arrival at a European foreign ministers meeting in Brussels. Iran has repeatedly said its missile program is purely defensive. Le Drian on Sunday said he would travel to Iran in March and that France had begun talks with Tehran to discuss its missile program and regional activities. However, Iran’s foreign ministry spokesman on Monday dismissed the suggestion of talks on either issue.